eEuroparts.com® carries an extensive catalog of aftermarket, OEM, original, and genuine parts from over 200 manufacturers. We are also constantly updating our MANN-FILTER parts selection to give you the best possible selection of parts. Poor quality air makes you tired, irritates your eyes and respiratory tract. 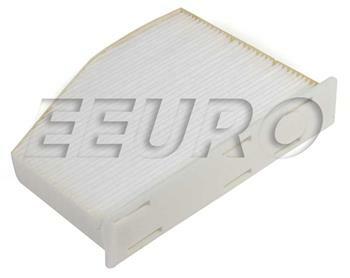 Cabin air filters from MANN-FILTER ensure improved comfort and fresh air in your car, as they almost completely free the air entering the vehicle of dust, pollen, soot and other pollutants - precisely those substances which are causing health problems for more and more people - especially asthmatics and those with allergies. 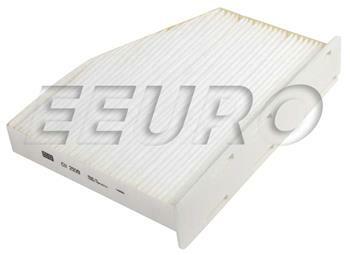 Like all filters, however, MANN-FILTER cabin air filters also have to be changed regularly. As a general rule, they should be serviced at one-year intervals or after every 15,000 km (10,000 miles) traveled. Misty windows, a stuffy cabin and a malfunctioning air conditioning system are also sure signs that replacement is necessary. Next time you are changing your cabin air filter, play it safe and choose a patented high-tech filter from MANN-FILTER. Our products are a perfect fit and of verified original equipment quality. Detailed installation instructions mean that assembly is quick and easy. If this is not the exact Cabin Air Filter you are looking for, or you would like this part in a brand other than MANN-FILTER, please contact us and one of our customer service experts will help you locate the exact part you need.